At Oak Motors, we have over 30 years of experience working with all kinds of credit situations. It's the reason we are Central Indiana's leading Buy Here Pay Here dealer. When others have turned you away due to bad credit, no credit, or even bankruptcy, Oak Motors is willing to work with you! 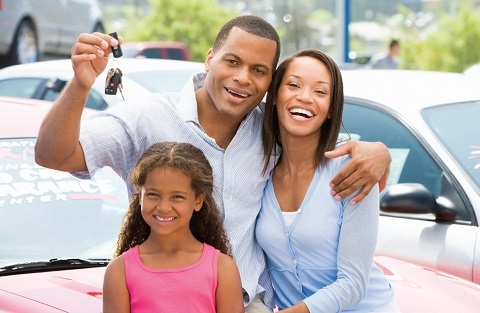 Getting a car loan with bad credit at Oak Motors is as easy as 1, 2, 3. 1. Share Your Goals, Explore Your Opportunities! We will introduce you to Oak Motors and our team while getting to know you and your situation. We will need to understand your circumstances and needs so we can help you find the right vehicle and arrange financing. The Oak Motors introduction and discovery process includes asking you normal loan application questions, which will take anywhere from 20-30 minutes. 2. Select Vehicles and Get Your Approval! Select the vehicle that interests you the most. Once you have selected a vehicle we will go over the price, down payment, payment and any trade in value with you. After you have decided on a vehicle that meets your needs and your budget, take it for a test drive to make sure that you are happy with your selection. 3. Finalize Paperwork and Drive Away! When you get back from the test drive, we will complete the process by collecting all the required loan documents and preparing the closing documents for delivery. Income verification, such as pay stubs, Social Security statements, etc. 2 pieces of verification for your current address, such as utility bills, mortgage or rent statements, etc. Your trade-in vehicle and title (if applicable). Oak Motors works with customers every day that have a variety of credit issues and need help getting a vehicle. Do you identify with any of these items? I have had a few problems with credit in the past and I'm having difficulty getting the financing I need for dependable and affordable transportation. I have been told I was approved by other dealers or banks, only to find out that when I got there in person, the story changed and they couldn&apos;t help me out. I was previously qualified for financing, but now the banks or other “special financing options” are no longer interested in giving me a loan. I am looking for dependable, affordable transportation that fits into my budget while still having some of the best selection of inventory styles and types to fit my lifestyle. I am looking for a shorter trade cycle and an opportunity to establish or re-build my credit without sacrificing affordability, dependability, and overall transportation value. Be on the Road Again in Hours! Depending on how much time you need during the vehicle selection process, document collection, and closing, the other steps for financing approval take just over an hour. Our fast and easy approval process allows you to take time where it matters most - making the right decision and understanding what you should expect from us and us from you. The total process takes the typical customer between two and four hours to be on the road again. Get started by applying for credit now!